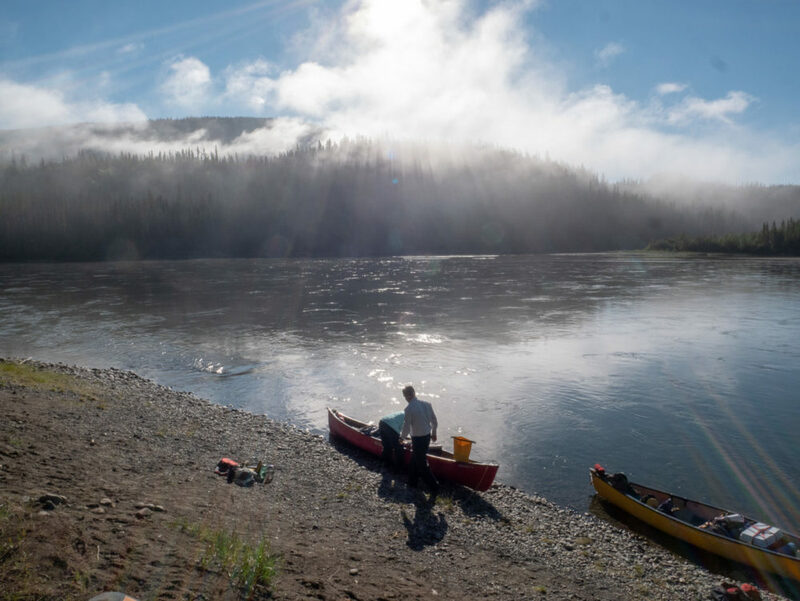 The Teslin River is one of my favourite rivers to canoe. Well, the weather didn’t cooperate on all days. But on the last morning we enjoyed a pancake breakfast with a hot coffee to get warmed up. The fog was hanging over the river but as soon as we started to load the canoes the fog lifted and we had a glorious day on the water. 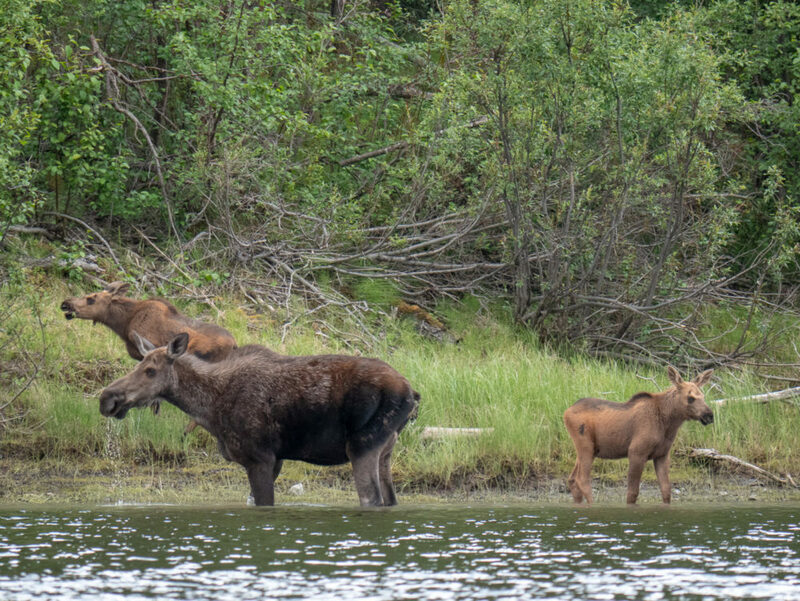 For a long time we drifted and watched this moose family feeding on the vegetation under water and on shore. Wildlife watching is a highlight during a trip. We had several moose sightings and also watched a black bear grazing on berries. Darryl wraps the canoe which will be strapped to the floats. Instead of taking a bumpy van shuttle back to Whitehorse at the end of the trip we called for a plane in Hootalinqua. 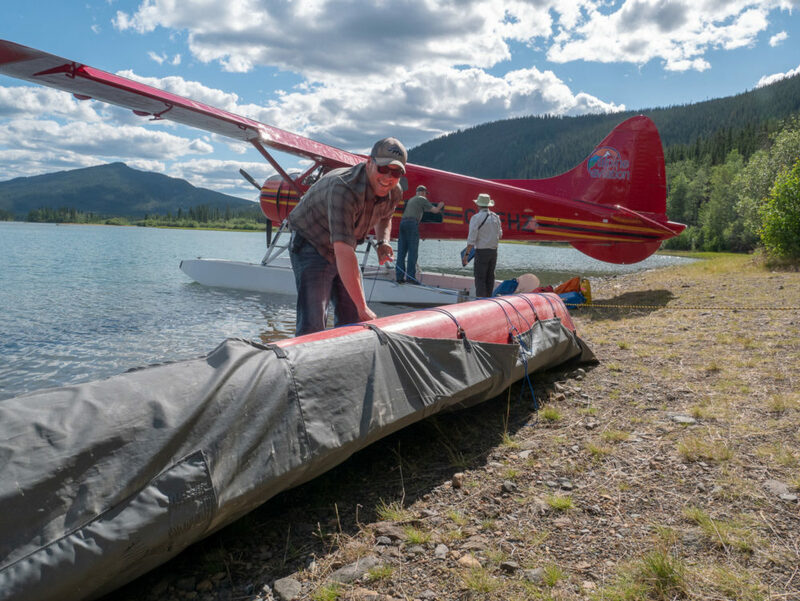 Alpine Aviation came, the canoes got nested, wrapped and strapped to the floats of the plane. During tack off we enjoyed the view of the river we just had paddled. 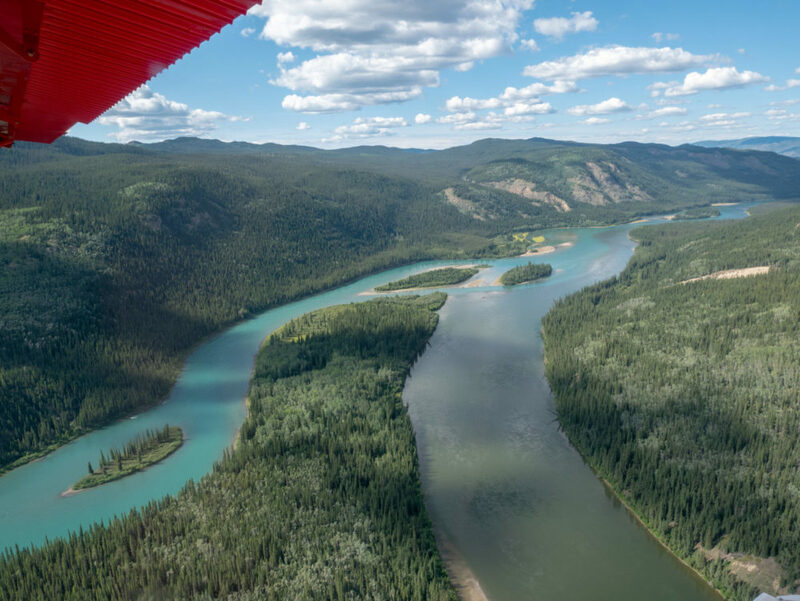 The flight home to Whitehorse was over extensive boreal forest, lakes and mountains. This just summed up what the Yukon it about! What a relaxing way of returning to civilization! We hadn’t seen anyone during the whole 5 days of paddling! Mountain Hero is a very tasting beer brewed at our local micro-brewery Winterlong. It is also a mountain biking trail. To me a decent on this trail looks like a suicide mission so I prefer to hike it. The trail gives access to the alpine quickly. 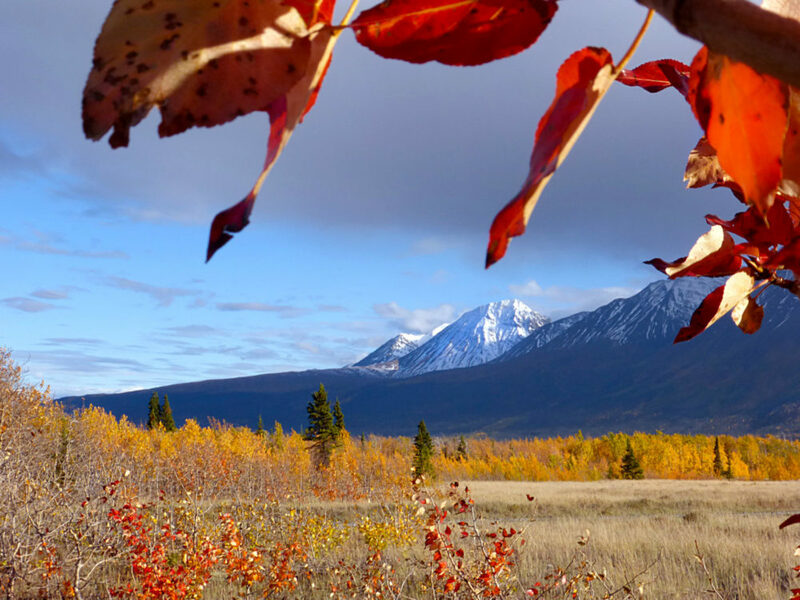 It is located on Windy Arm of Tagish Lake. 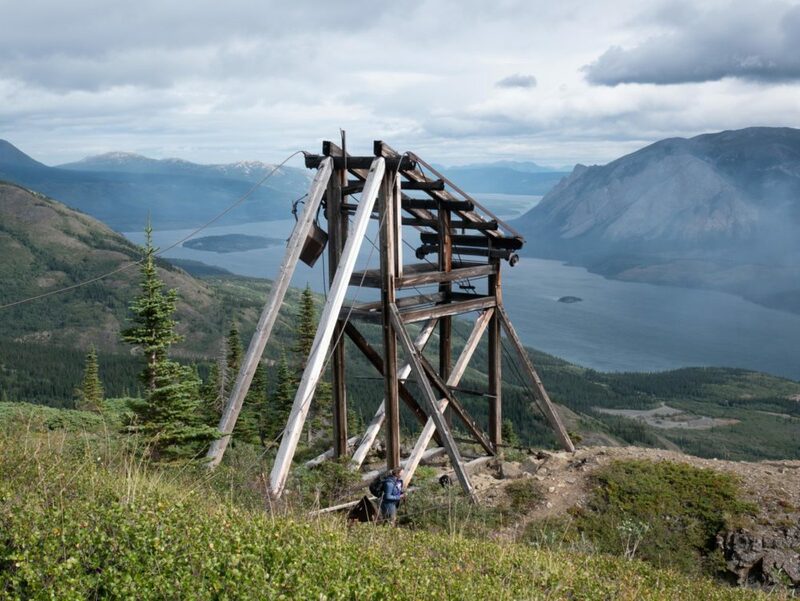 Besides the great views there are a lot of interesting artifacts from the abandoned mining operation to investigate. 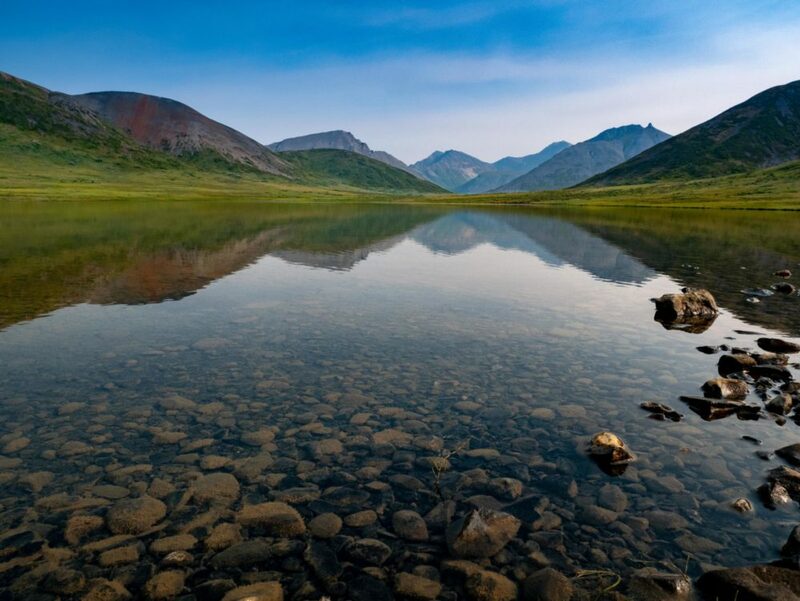 In Kluane National Park we hiked to St. Elias Lake and visited Klukshu to see the salmon run. 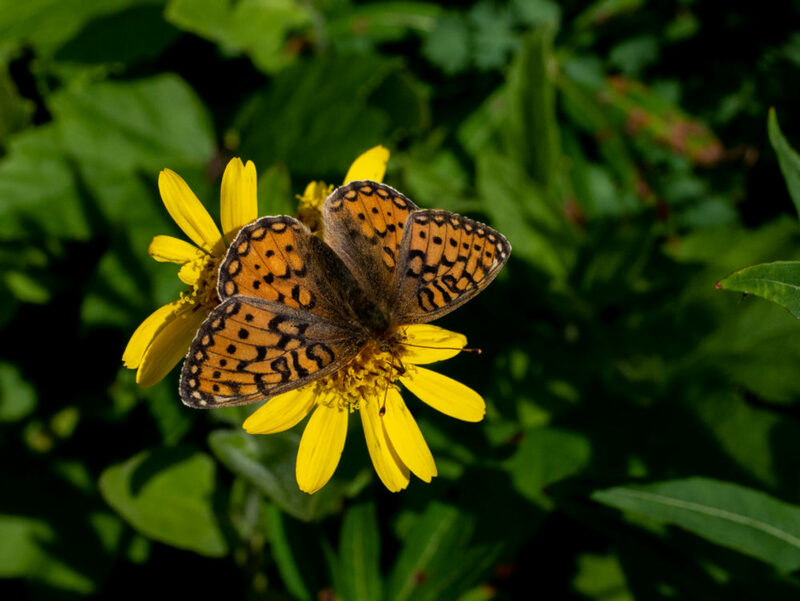 My guests on this trip enjoyed the flowers along the trail. I had some time to get my camera out as well. It wasn’t easy to chase after the butterfly! What is a hiking guide doing in her days off? Hiking of course! I was fortunate to embark on a 12 day trip with friends to the headwaters of the Bonnet Plume River. This river is well known for its white water paddling. This time we didn’t bring canoes but heavy back packs! It has been a trip of a life time. 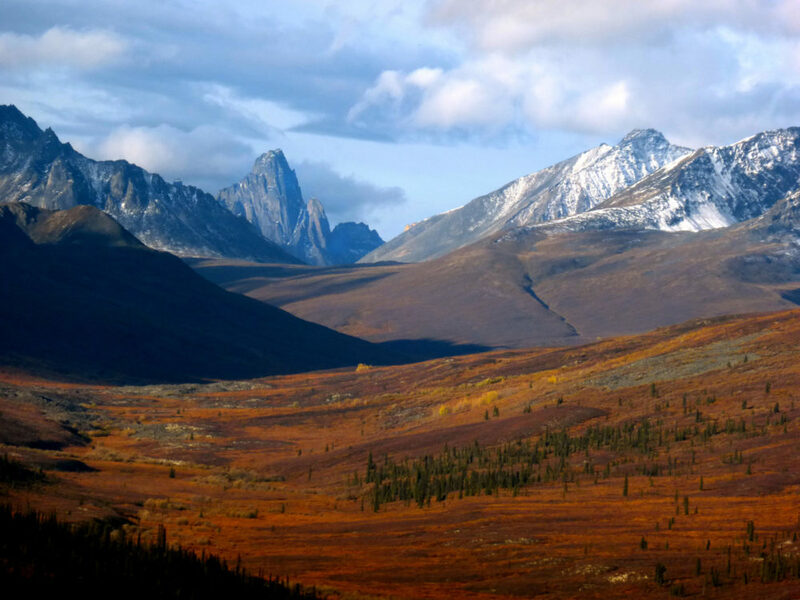 For the next two weeks Taiga Journeys has trips scheduled the Tombstone mountains and to Kluane National Park . The fall colours will be at their best and hopefully we will see also northern lights. It’s time to shut down the computer, pack some tasty food for our home cooked meals and hit the road. I hope to share some awesome pictures in my next blog once the season is over!